Do you have a sudden eye problem? A red, painful or sticky eye? A sudden change in vision? People living in the Belfast, Western and Southern areas who are worried about a sudden onset eye problem can now access care from a local accredited optometrist. 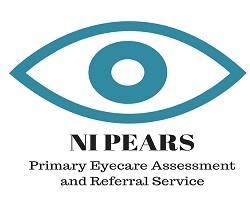 This new service, the Northern Ireland Primary Eyecare Assessment and Referral Service (NI PEARS), allows patients to make an appointment with an accredited optometrist of their choice for assessment of their sudden eye problem. An appointment will be offered within 48 hours by the optometrist to have the condition assessed, and where appropriate, treated at no cost through Health and Social Care (HSC). Over 100,000 patients in Northern Ireland attend hospital annually with eye problems, but many could be cared for in their local areas by an optometrist, freeing up hospital eye service appointments for more serious cases. Following a successful pilot in the Armagh/Dungannon area funded by the Southern LCG, the service was rolled out across the Southern Health and Social Care Trust area last year and now has been extended to the Belfast and Western areas. If you develop a sudden eye problem you can contact an accredited optometry practice for advice and ask if you may be seen under the NI PEARS initiative. Alternatively, if you are making an appointment to see your GP or consulting your community pharmacist, you may be advised to attend your optometrist instead for an NI PEARS investigation. The optometrist will assess your eye condition and will either provide advice and treatment in the practice or, if your condition is more serious and potentially sight threatening, will arrange a referral to the hospital eye service. • Suspected minor foreign body in the eye. The initiative has been developed through the Department of Health strategy, Developing Eyecare Partnerships and commissioned by the Health and Social Care Board. Raymond Curran, Head of Ophthalmic Services, Health and Social Care Board commented: “Through partnership working this initiative has shown that a primary care based optometric service can effectively and safely manage patients with acute non-sight threatening eye conditions. This reduces demand on GPs and secondary care and allows patients to be cared for closer to home. Patients must be registered with a GP in Northern Ireland and must remember to bring along their Health & Care number which is on their medical card. The service is currently available across Belfast, Western and the Southern Health and Social Care Trust areas.